Mount Maunganui (New Zealand): India captain Virat Kohli praised his bowlers after the win over New Zealand in the second One-Day International (ODI) here on Saturday. India posted 324 for four in their 50 overs before a strong bowling performance saw them dismiss the Kiwis for 234 runs in 40.2 overs. India have now taken a 2-0 lead in the five-match series. “It was a clinical performance again. We had a par score with the kind of pitch and boundary dimensions here. But we bowled really well and back-to-back clinical performances is really pleasing,” Kohli said after the match. “They are always ready to bowl for you and pick wickets, which is key. They are not content to go wicketless for 40 runs in their quota, they’d rather have more wickets for 60. That mindset is crucial for us,” he added. They [India’s bowlers] are not content to go wicketless for 40 runs in their quota, they’d rather have more wickets for 60. That mindset is crucial for us. The visitors reached the 170-run mark by the 30th over and looked set for a really massive total before the run rate dropped a bit. With the ODI World Cup a couple of months away, Kohli asserted that the Indian batsmen need to learn how to maintain momentum. “I made a conscious effort after the second drinks break to take some risks. Once I got out, the new batsman had to take time. These are the things we need to look into with the World Cup nearby. 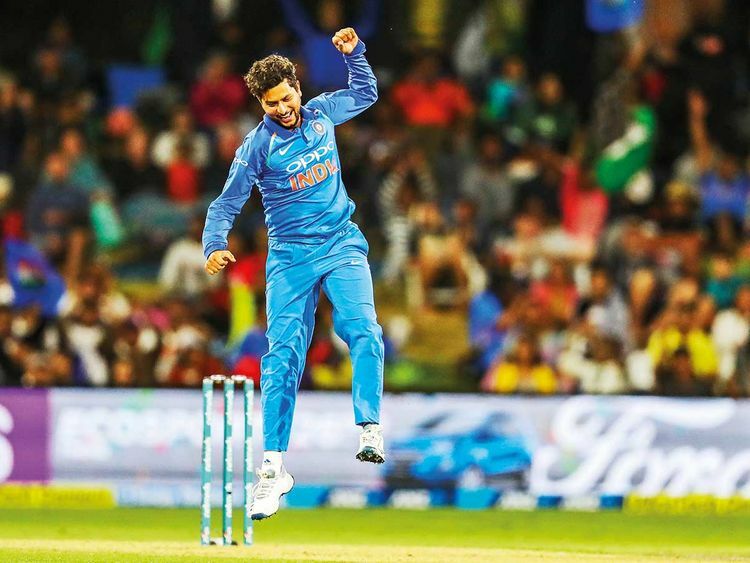 We would like to score those 15-20 runs extra but at the same time, good to see us chip our way to a balanced total,” the Delhi-based star remarked. While the opening pair were both dismissed by the end of the 30th over, India were still 173-2 and looking ominous only for New Zealand’s bowlers to change their line and length and mix up their deliveries to slow the scoring rate. New Zealand captain Kane Williamson was understandably disappointed with his team’s performance. “It’s a little frustrating; not so much the loss but how we are losing is the problem. Credit to India. Both surfaces so far have been slower than usual but still fair surfaces,” he said. Williamson was however, not too displeased with the New Zealand bowlers and felt that the target of 325 could have been chased down. “Good signs with the ball at some points though we never got control as such — 324 was a good score that could be chased down here. There were some good steps forward, particularly by our bowlers to keep them down to 320-odd,” he said. “It is mportant not to get carried away by results and focus just on small steps,” he added. “Some of the dismissals were a result of us going too hard maybe. “If we had wickets in hand, you never know but we didn’t have wickets in hand. Those are the lessons that we need to take ahead,” the Kiwi skipper added.